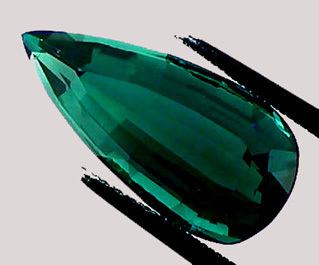 The Millenium cut can really pick up the existing light within a room and make a stone look bright under low light levels. 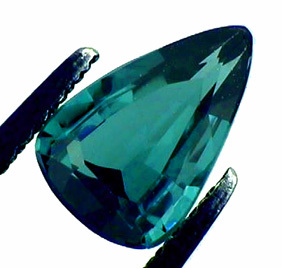 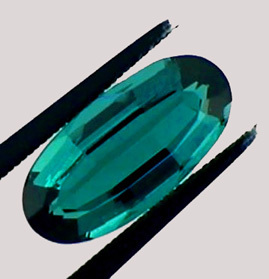 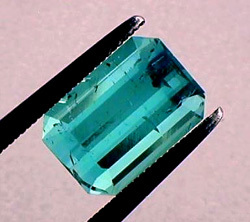 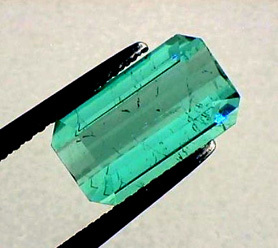 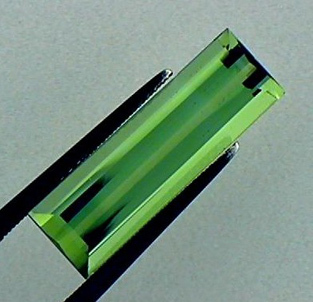 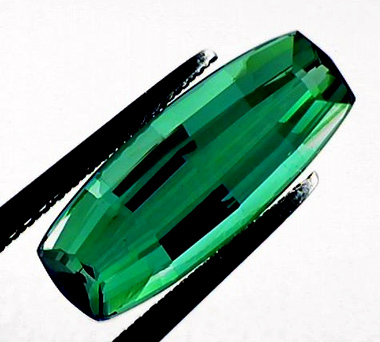 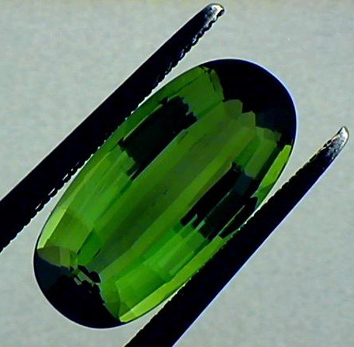 There are lots of beautifully colored tourmaline available on the market, but frequently these beautiful colors grow under conditions that typically create inclusions - just like emeralds! 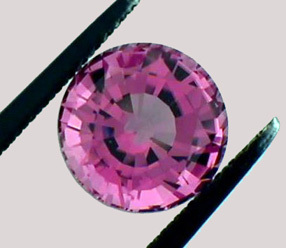 To hide some of this inclusions and allow these beautiful colors to be worn as jewelry without the eye perceiving these inclusions, the Millenium Cut was designed. 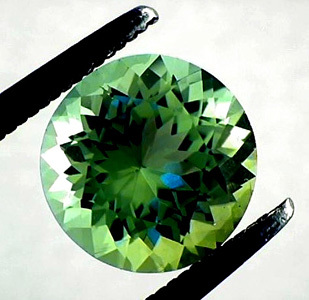 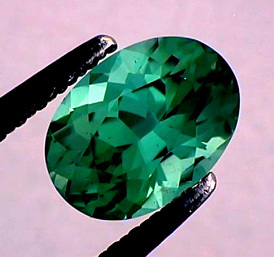 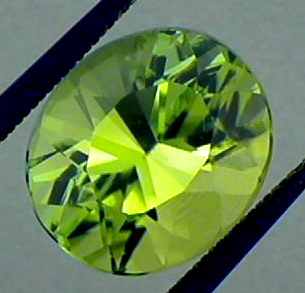 (The gemstones below might have inclusions, but we have choosen these pieces from many hundreds of pieces for their cut, and glowing color - if inclusions are present, they are more likely be be hidden because of this cut.) 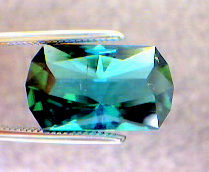 This Cut, these Colors and the Sparkle are something to see in person! 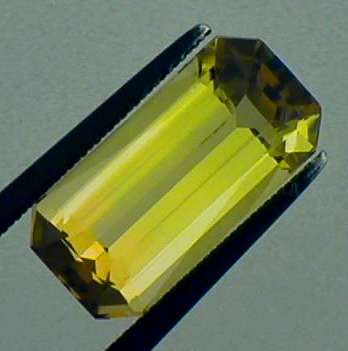 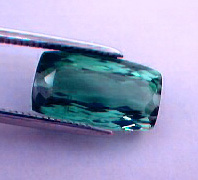 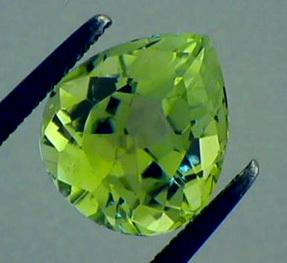 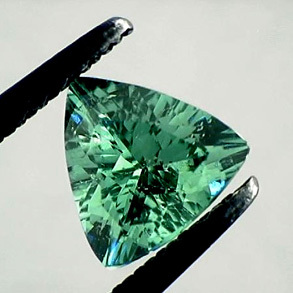 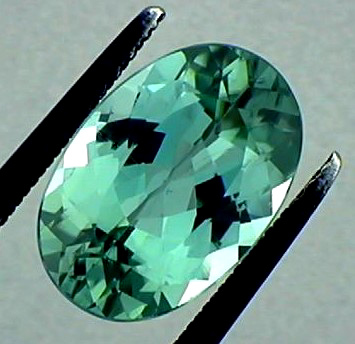 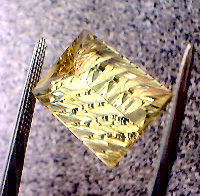 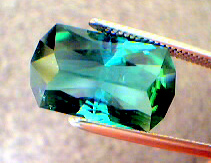 B - 1.95ct Fancy Kite, Yellow Green Tourmaline, U.S Cut, Afghani (feather) Super Shape! 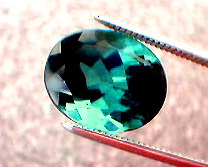 (cbg-93-01) $488 Would love to see this set into a pendant! 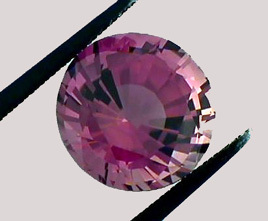 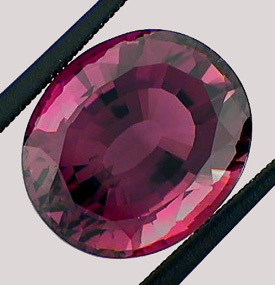 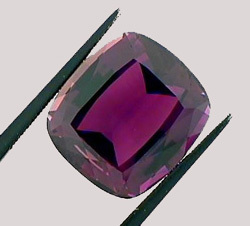 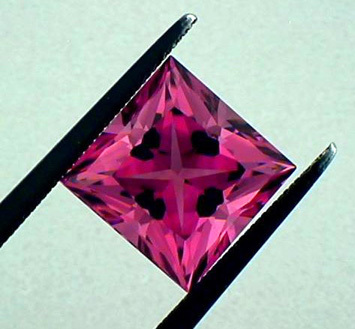 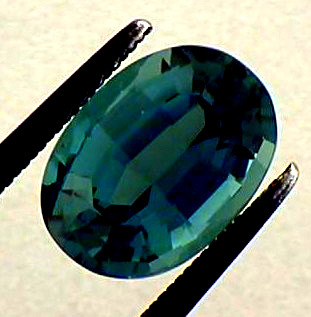 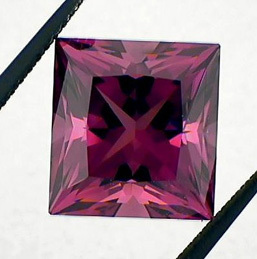 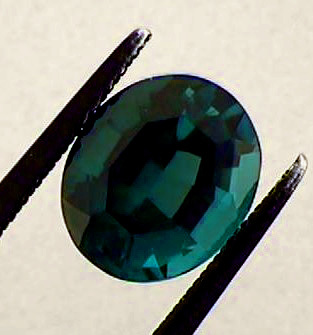 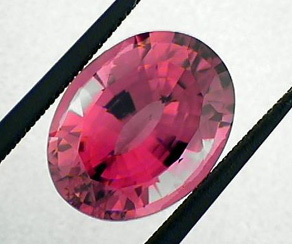 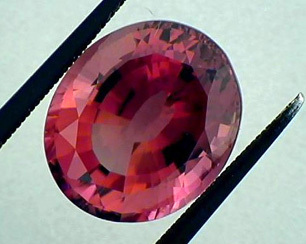 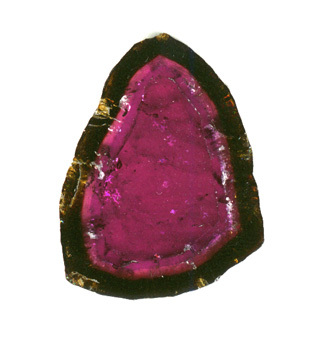 B - 9.38ct Round Rich Raspberry Purple Tourmaline, U.S. Cut, Nigeria (precgem-99-1g) $6,566 Will be re-photographed in the future - the color is way off in this case! 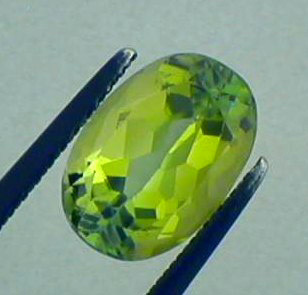 "I got the stone on Friday. 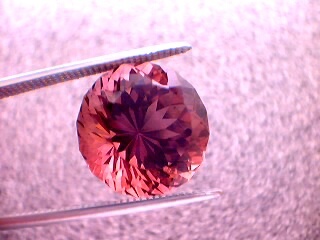 I LOVE THE STONE.. 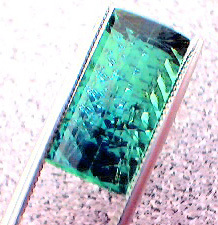 It is bigger than I anticipated. 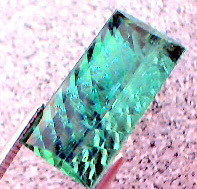 I was originally working on some designs for a smaller pendant...This stone is talking to me to give it a nobler mounting. "